Get ready for what may be the most badass hot-hatch ever. 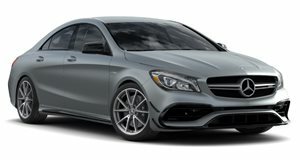 While the North American market received the CLA 45 AMG, overseas buyers were also offered the A45 AMG. Mechanically both cars are roughly the same, only that the latter is a five-door hatchback. Americans still prefer sedans (or in this case, four-door coupes). Still a shame the all-wheel drive A45 AMG isn’t sold in the US, because it could very well have been crowned the hot hatch king. The VW Golf R essentially has no competition now. But in Europe things are different, and that competition may soon get even better. According to Auto Express, AMG boss, Tobias Moers, has revealed plans to build essentially a "harder, faster, street fighter" version of the A45 AMG. However, it won’t wear a Black Series badge, which is reserved for two-door models only. "Let’s wait and see, maybe it’s not a Black Series, maybe it’s a different approach. It would be a nice statement to have a sort of street fighter car in the segment," Moers explained. "A Black Series model is a race car street legal with two doors. Maybe we don’t use the label Black Series for that car, we are playing around with some ideas." 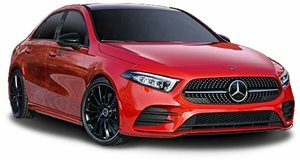 Moers’ statements are in line with what he’s previously mentioned: The A45 AMG’s 2.0-liter turbocharged four banger has more power available. Currently it’s rated at 394 hp. He also said that VW’s Golf R 400 "hasn’t escaped (his) attention." So what’s the hold up in getting this car up and running? Manpower. AMG engineers are currently swamped with other projects.